Deputy Prime Minister and Minister of Construction, Transport and Infrastructure, prof. Zorana Mihajlovic PhD. opened the exhibition of photography "Roads, Faces, Horizons" today on Kalemegdan with the director general of RZD International, Sergey Pavlov. 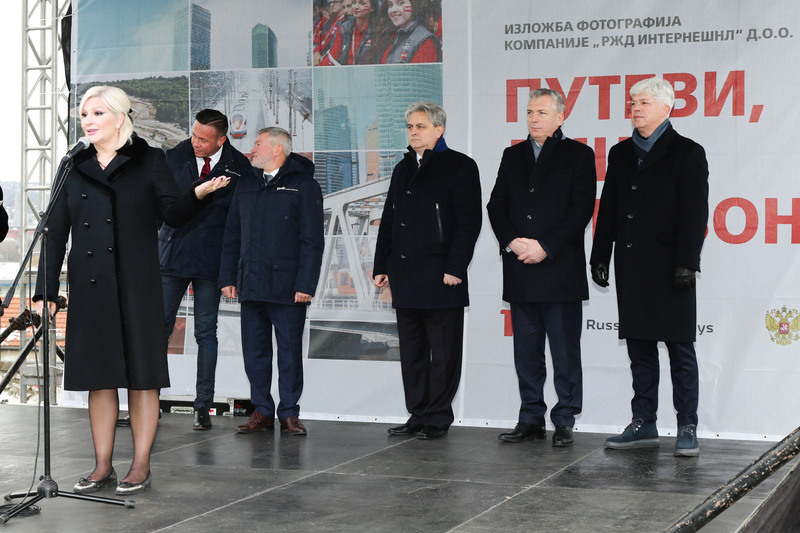 On this occasion, she pointed out that this exhibition shows not only what Russian railways are doing in the world, but also how Serbian railways will look in the period ahead. 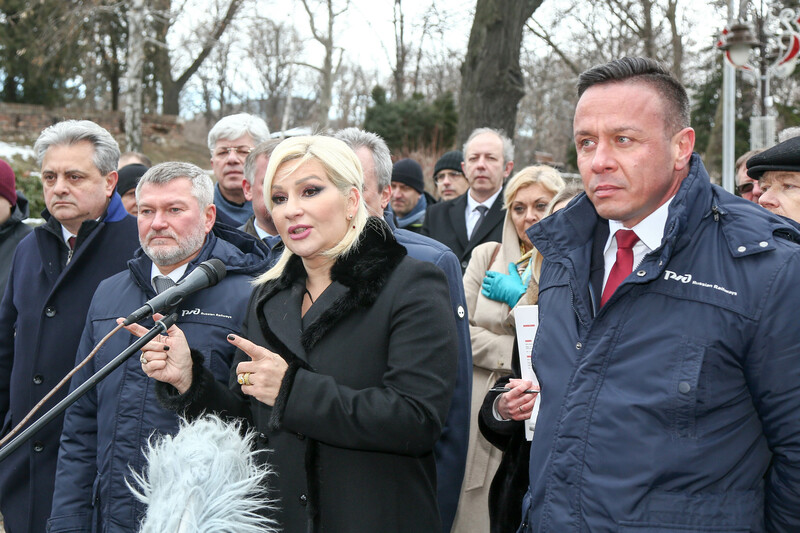 Mihajlovic stated that Serbia and Russia have not only good friendly relations but also good political and economic relations, and that Serbia's interest is to connect with the surrounding countries. "We can boast of excellent cooperation in infrastructure projects with one of the world's top companies, which employs more than 800,000 workers worldwide. We want railway traffic to become dominant in Serbia and the big thing is that we are working with this company. In addition, the economic relations between the two countries are getting better, and the trade with the Russian Federation last year was almost a billion euros, "she said. The Deputy Prime Minister added that during the visit of RF, President Mr. Vladimir Putin to Serbia, a contract between RZD and "Serbian Railways Infrastructure" worth 230 million euros will be signed. "In the presence of the two presidents, Mr. Aleksandar Vucic and Mr. Vladimir Putin, we will sign an important agreement on Thursday. We are continuing cooperation on the project of electrical infrastructure on the section Stara Pazova-Novi Sad, as well as the construction of a very important unique dispatch center for traffic management, as well as the development of project and technical documentation for the continuation of the rehabilitation of the Valjevo-Vrbnica state border, "she said. Sergey Pavlov thanked Deputy Prime Minister Ms. Mihajlović for her overall dedication and commitment to the realization of projects in railway transport. "Today we are opening an exhibition featuring projects that RZD implements, but also people working on them, the natural beauty of Russia, modern technology and everything that makes Russia grand. Thank you to the Ministry of Construction, Transportation and Infrastructure of the Republic of Serbia and Deputy Prime Minister Zorana Mihajlovic for the support, dedication and excellent cooperation we have, " Pavlov said.